I’ve always been a huge Disney fan, which is why I couldn’t pass up the opportunity to write an essay examining the dynamic between Tiana and Charlotte. Their friendship intrigued me, so for fun, I decided to write an comparative essay analyzing the two girls. Enjoy! What is the value of friendship? How can it be measured? Why do we keep trying to set guidelines anyway? I don’t have the answer to those questions, but I did catch myself asking them after watching The Princess and the Frog for the fifth or sixth time. I remembered thinking the same thing after the seventh an eighth time too. (How many times I’ve actually watched this film is irrelevant, and I’ll spare myself the shame by not revealing it.) I found myself intrigued by the dynamic between Tiana and Charlotte, and wondered if one girl was more of a friend than the other one. So naturally, being the inquisitive geek that I am, I had to evaluate the situation, and being the writer that I am, I of course had to provide a solid, well written argument, with a side-by-side comparison, in favor of my beliefs. In case you haven’t seen the film, here’s a brief summary of the key points. Tiana is a hard working African American girl growing up in 1920’s New Orleans. Charlotte is a wealthy white woman raised by her Daddy and has no idea how the world really works. The girls came to be friends at a young age when Charlotte’s father hired Tiana’s mother to be his daughter’s personal seamstress. The girls spent hours together, enjoying an unbiased friendship, that, years later, as our story takes place, still remains true. Then Prince Naveen comes to town. Charlotte, always on the look out for her prince, plans to marry him at Mardi Gras so she can finally be a princess. Lucky for her, Daddy is Mardi Gras King for the fifth year in a row. Meanwhile, Tiana finally has enough money saved so she can buy that old building and open up her restaurant. Everything is looking on the up and up. Then, on the night of the Mardi Gras ball (hosted by, no surprise, Charlotte’s father) Prince Naveen, he gets himself turned into a frog. Through a series of unfortunate events, so does Tiana. Frogs aside for a moment, Tiana and Charlotte are both self-motivated. Charlotte wants to marry a prince so she can be a princess. Tiana wants to own and operate her own restaurant. Despite their motivations, both girls display a vast amount of respect for each other through comforting words, helping hands, and the support each other’s dreams. However, there are some instances where the line between friendship and self-motivation are a little blurry. For example, Charlotte asks Tia to make her famous beignets for the Mardi Gras ball, hoping to lure in Prince Naveen, but gives her enough money that she’ll have some left over for her restaurant fund. Since we’re talking about Charlotte, let’s stay here and examine her actions toward Tiana throughout the film. Although she gives Tiana enough money for her restaurant, you could easily argue she didn’t have the slightest clue what she was doing. Charlotte was excited about Prince Naveen and thrilled that her friend Tiana could help. Sitting beside her father, she squeals with glee and pulls a wad of cash from his wallet, thrusting it into Tiana’s arms. “Will this do?” she asks. The means of Charlotte’s kindness was clearly to achieve her own ambitions. But then at the ball she surprises us. Just as Prince Naveen arrives, Tiana takes a spill at the beignet station, and ends up covered in jam and powdered sugar. Instead of rushing over to greet the prince, Charlotte immediately takes her friend upstairs to get her cleaned up, lending Tiana a stunning ball gown and a tiara. Later, at the end of the film, she puckers her lips and kisses the frog for Tiana, because she was unable to do so herself. Though she wanted more than anything to have Prince Naveen to herself, she was more than happy to give up her dream so that Tiana could have hers. The fact that Charlotte shows no resentment toward Tiana speaks mounds about her character. Tiana is blinded by ambition. It’s unclear whether she realized she was, in effect, using Charlotte for her money, or if she even planned on telling Charlotte that, in reality, Naveen had none. What is clear is that her goal, at the expense of her own heart, is to get Naveen back to Charlotte in time to marry her, so that she can finally get her restaurant. 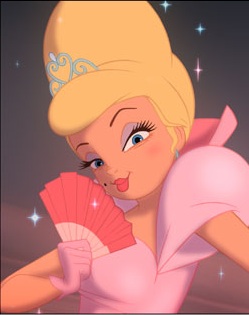 The only time that Tiana appears to even be thinking of Lottie is when she realizes she is falling for Naveen. She withdraws from him, commenting that Lottie is getting one heck of a dance partner. Granted, I think Tiana was a little preoccupied with turning herself back into a human first. 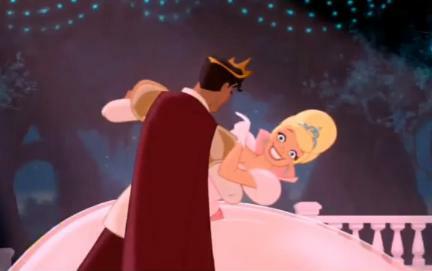 But when is all is said and done, Tiana and Naveen both become human again and get married. Tiana becomes a princess, opens her restaurant, and lives happily ever after. Charlotte couldn’t be more supportive. At the restaurant’s grand opening party, she even dances with Prince Naveen’s six year old brother, joking that she can wait for him to grow up so she can get her wish. Maintaining the unspoken agreement that friends should be honest with one another, be respectful, and support each other unconditionally, then which girl is the better friend? Is it possible to pick one? Tiana was honest enough to bring Charlotte back to earth, but not honest enough to defend her when she discovered Naveen had been cut off from his family. Charlotte’s primary focus was becoming a princess, but she didn’t allow her goal to get in the way of her friendship with Tiana. She took time to help her when she was down, and gave up her own dreams so that her friend could have hers. 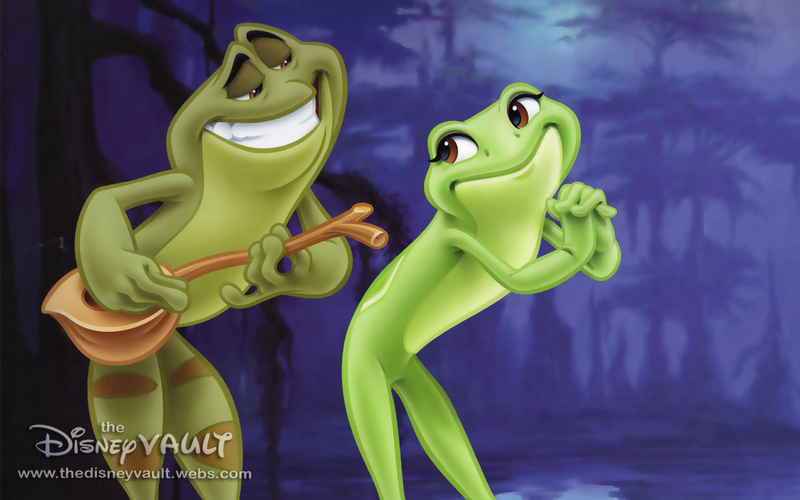 She even went so far as to kiss a frog because for Tiana, because she couldn’t do it herself. If actions speak louder than words, and if friendship can be measured using some of the agents listed above, then it safe to say that Charlotte is the better friend. We can’t determine if the friendship means more to her than to Tiana, but we can conclude that she earns more points for doing right by her friend. She didn’t allow her selfish motivations to get in the way of her honesty and respect for their friendship. Look! I’m dancing with the prince! This entry was posted in Miscellaneous and tagged Disney, Essay.